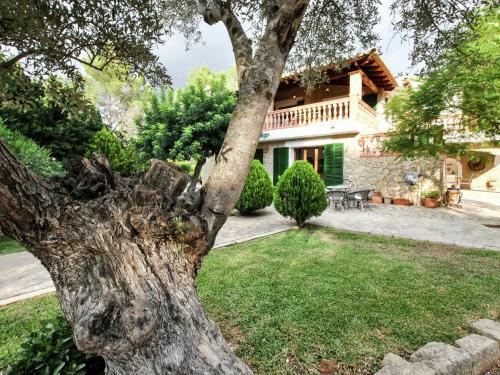 Finca Son Flora in Alaró is a holiday home with 1 room. 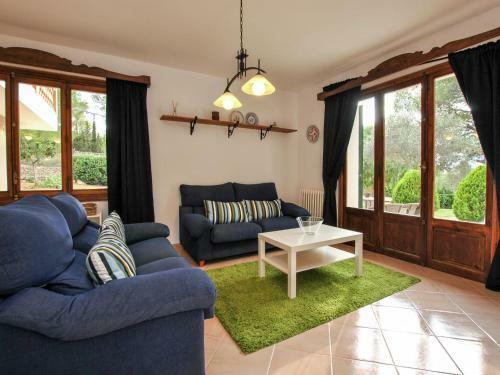 Located in Alaró, 8 km from Alaro Castel, Finca Son Flora offers air-conditioned accommodation with a terrace and free WiFi. This holiday home also has a private pool. The holiday home comes with a TV, 7 bedrooms and a living room. The kitchen is equipped with a dishwasher, an oven and a microwave, as well as coffee machine. The holiday home offers an outdoor pool. A garden and a barbecue are provided at Finca Son Flora. The nearest airport is Palma de Mallorca Airport, 35 km from the accommodat...ion. Located in Alaró, 8 km from Alaro Castel, Finca Son Flora offers air-conditioned accommodation with a terrace and free WiFi. This holiday home also ha...s a private pool. The holiday home comes with a TV, 7 bedrooms and a living room. The kitchen is equipped with a dishwasher, an oven and a microwave, as well as coffee machine. The holiday home offers an outdoor pool. A garden and a barbecue are provided at Finca Son Flora. The nearest airport is Palma de Mallorca Airport, 35 km from the accommodation. When would you like to stay at Finca Son Flora? A security deposit of EUR 250 is required upon arrival for incidentals. This deposit is fully refundable upon check-out and subject to a damage inspection of the accommodation. Please note that the full amount of the reservation is due before arrival. Belvilla will send a confirmation with detailed payment information. After full payment is taken, the property's details, including the address and where to collect keys, will be emailed to you. Please notice that there are possible extra charges regarding Gas, Electricity and Heating. There are some facilities on the property that might require extra costs. You will receive the Belvilla voucher by e-mail after full payment is taken. Please print this voucher and bring it with you on the day of arrival. Please note that the full amount of the reservation is due before arrival. Belvilla will send a confirmation with detailed payment information. After full payment is taken, the property's details, including the address and where to pick up the keys, will be sent to you by email.